The Easter Egg Hunt 2019 is on!Find eggs, win prizes! It's fun! Place orders with prizes by Sunday, 4/21! 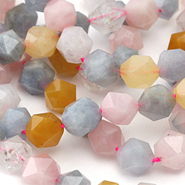 Amazonite beads and focals look expensive, but won’t break your bank account! 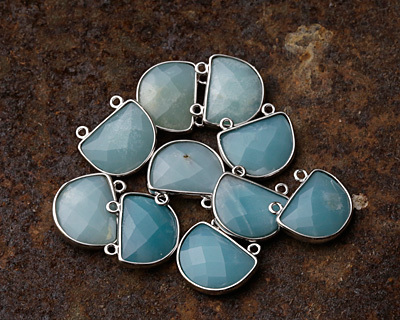 These semi-opaque, blue-green stones vary from pale seafoam to darker aqua. 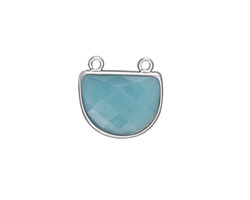 Amazonite, also known as Amazon stone, is a classic case of mistaken identity. 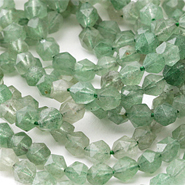 A greenish color stone was worn by Indigenous Peoples in the Amazon area of South America, and European colonists thought the stone was the same as a stone familiar to them (likely Amazonite mined from Russia). The name Amazonite took off even though no Amazonite has been found in the Amazon, and the Indigenous Peoples were likely utilizing jade. 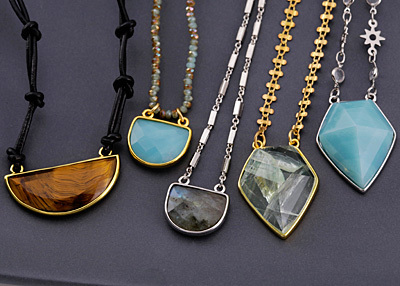 When sourced from Colorado, some call Amazonite “Colorado Jade,” presumably to confuse us all further! Amazonite is a type of microcline feldspar, and found in Colorado, Virginia, Russia, China, Brazil, and other locales around the world. It has a long history of utilization in jewelry and carving, including examples from Ancient Egypt. 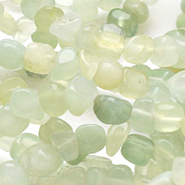 Amazonite is said to benefit the heart and throat chakras, and help filter out stress and negative pollutions.